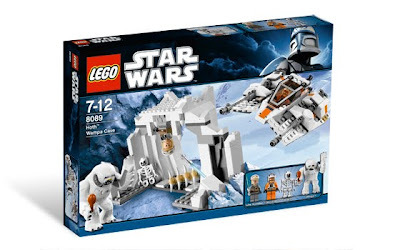 come with a snowspeeder and a wampa cave. 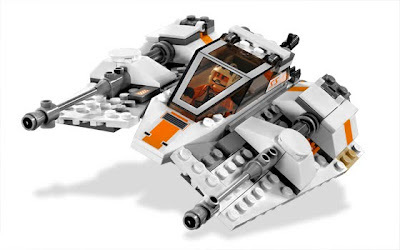 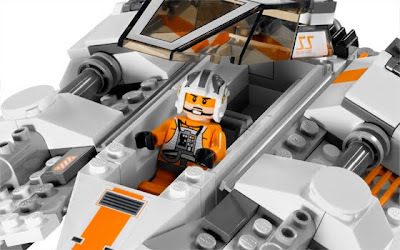 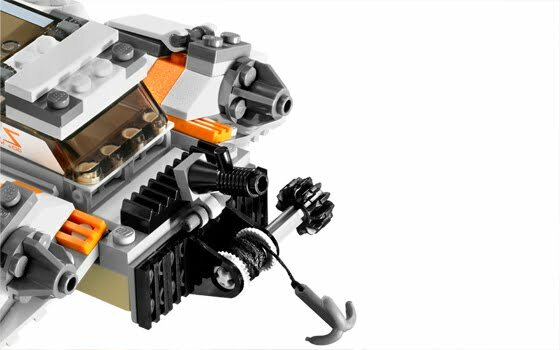 the speeder has an openable cockpit and a rear tow cable with string and hook. 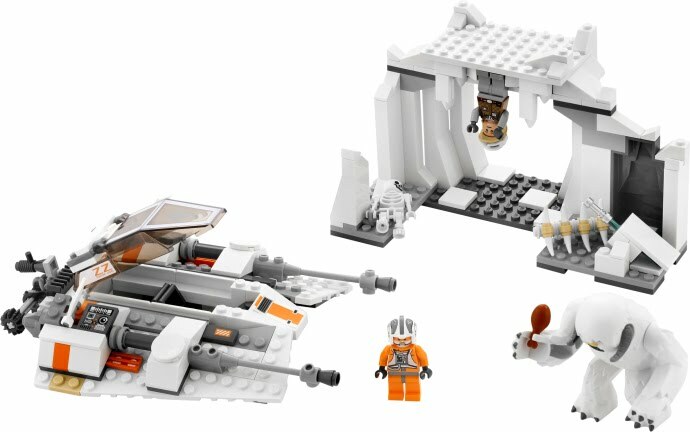 the cave has a lightsaber launcher, a rib cage and luke minifig hanging on the cave ceiling. 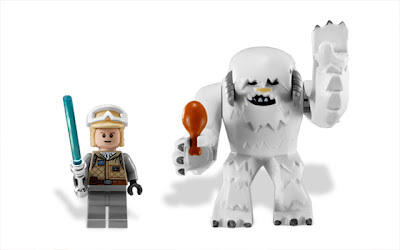 minifigs included a wampa ice creature minifig, a luke skywalker minifig and a zev zenesca minifig.